The Wizards went 2-2 this week with wins over the Hawks and Lakers and losses to the same Hawks team and the Wolves. The Wolves beat the Wizards in double overtime. If the Wizards miss the playoffs by one game, they can point back to that game for where it all went wrong. What’s there to say anymore? Wall had double-doubles in all four games this week. He averaged 21 points and 13.25 assists this week. 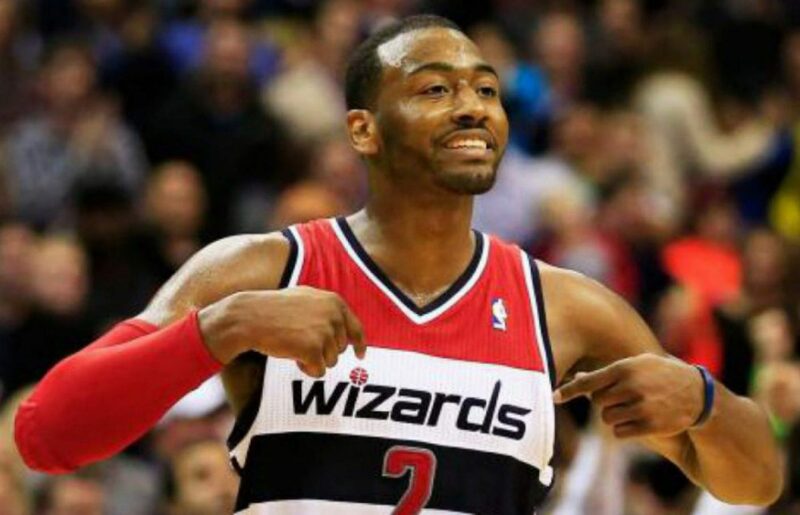 Wall was the sole reason the Wizards beat the Hawks the first time and gasp, beat the Lakers. The Wizards were down 16-4 at the drop of a hat versus the Lakers. Wall went on a personal 12-0 run to get this team back in the game. He did commit four turnovers during that 12-0 run but we’re at a point where that doesn’t matter as the Wizards would be nothing without Wall. Wall was very efficient from three-point range as he was 9-19 on the week. We’ll see over these next few weeks how far Wall can carry this team. This isn’t so much that Otto had a poor week but more due to the fact that he’s wildly inconsistent. Porter can disappear during an entire half and then come back and score 10+ points in a quarter, usually the third. I don’t know if it’s lack of aggression, plays being drawn up, or confidence. I have a hunch it’s confidence as it’s not like the coaching staff is dying to run plays for him. The fact of the matter is; when he gets going he can catch fire and hit five straight shots. But when he’s pulling a disappearing act, you almost forget he’s even on this team.